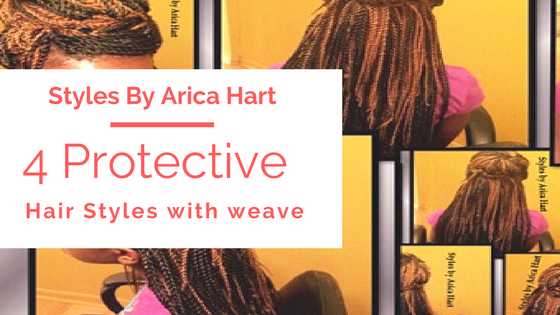 There are a variety of types of protective hair styles to fit different personalities, ages, and maintenance routines. Some of the styles are loose, twisted, or braided crochet braid hairstyles. Another type is stuffed twist pinned into a french-roll or ball. 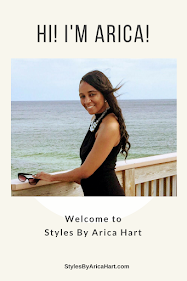 Then You also have the option of wearing a sew-in with straight, wavy, or curly hair to glamorize the already trendy woman with style and pzazz. Protective hair styles should be wrapped in a satin scarf or satin cap to help the style last; as well as, keep moisture in the hair. Also spray oil sheen on the tresses giving it the adequate moisture in the hair.